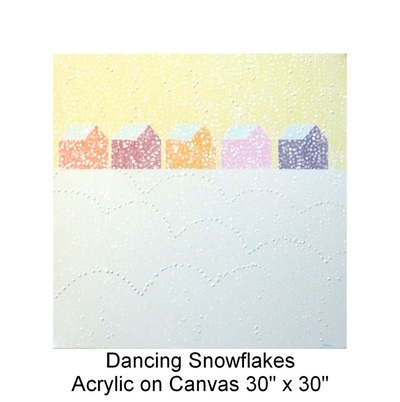 One of my first impressions of Canada was the awesome beauty of winter. 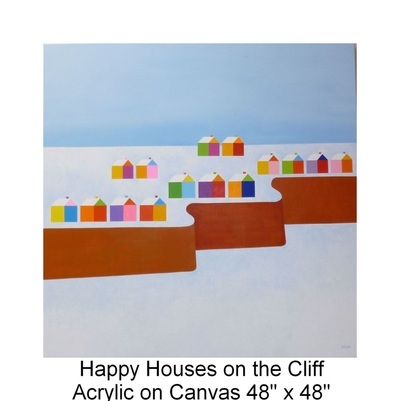 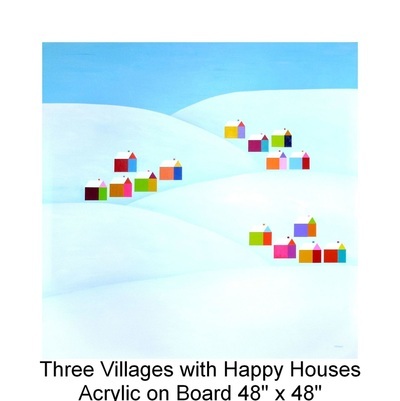 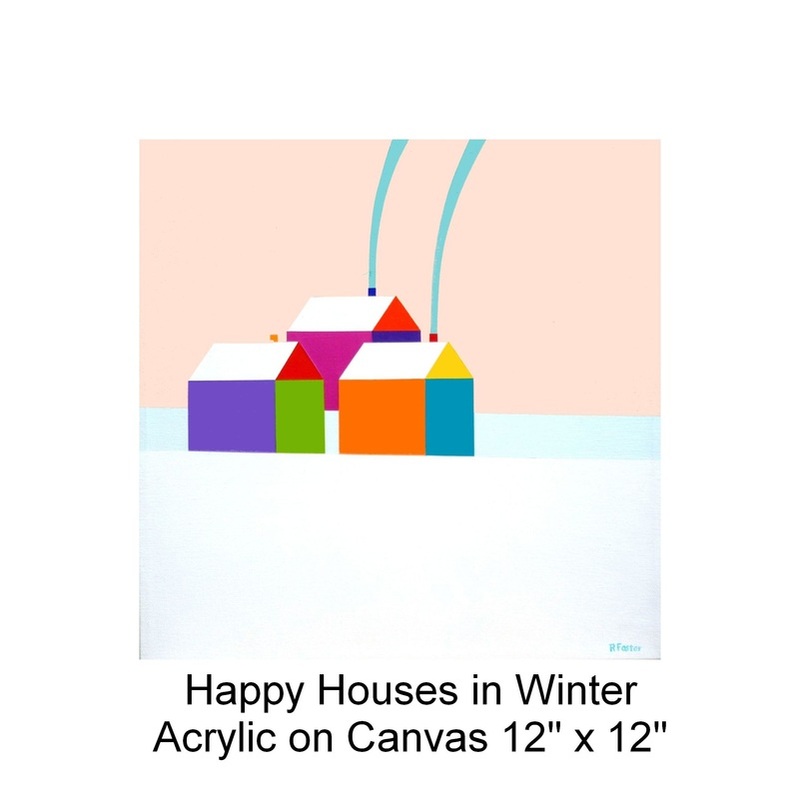 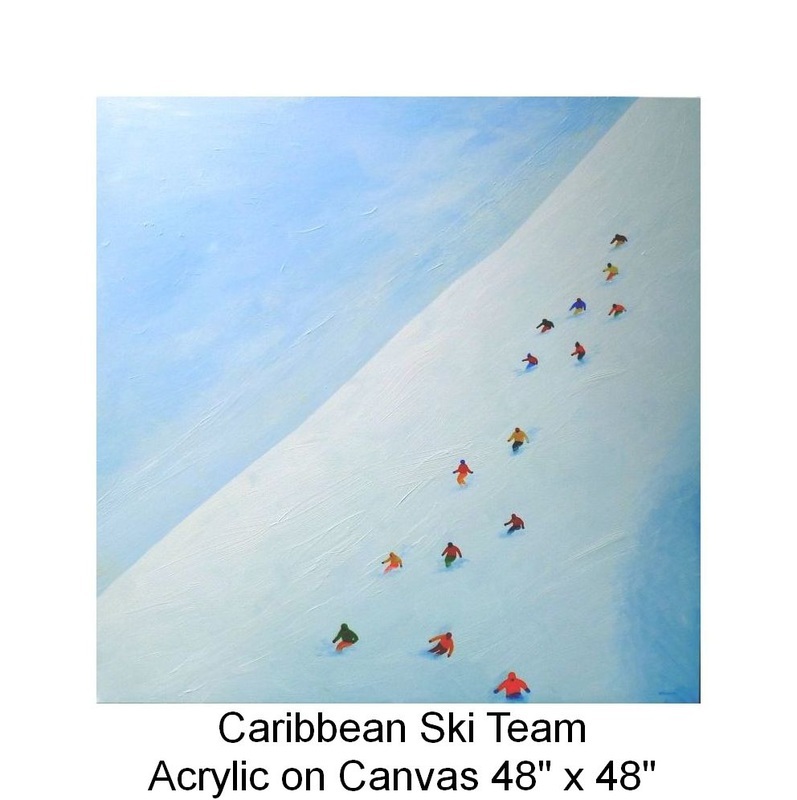 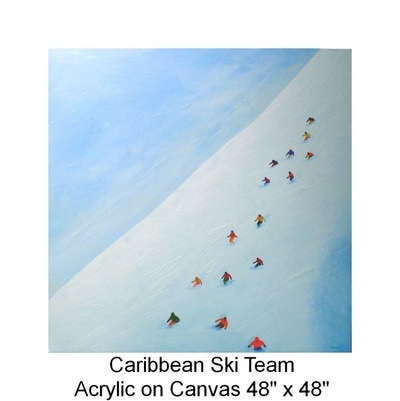 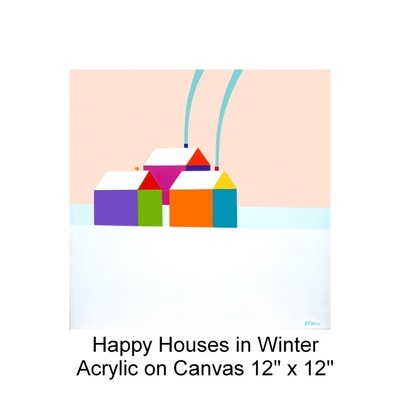 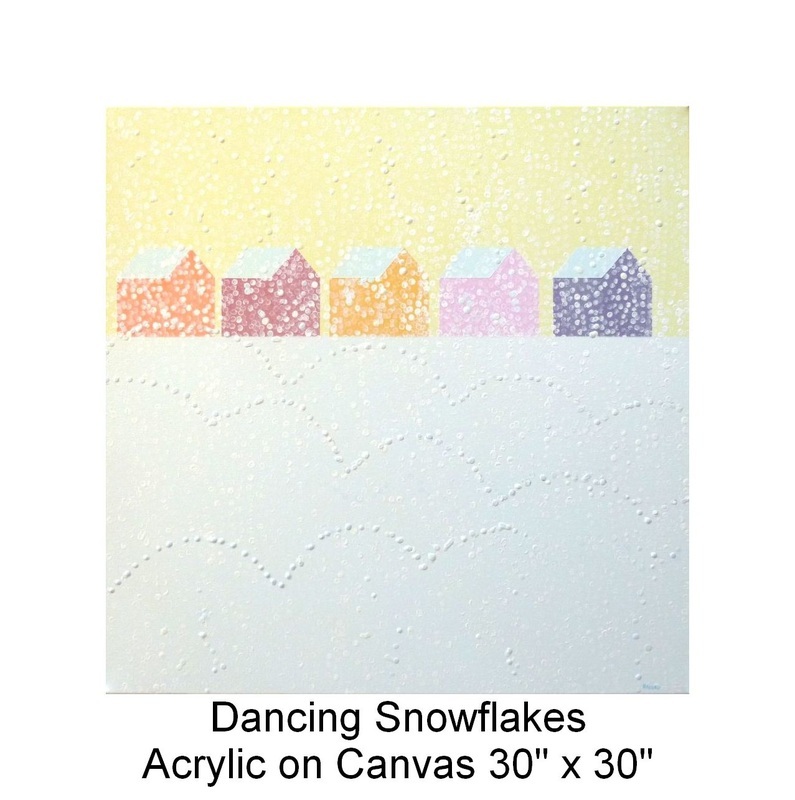 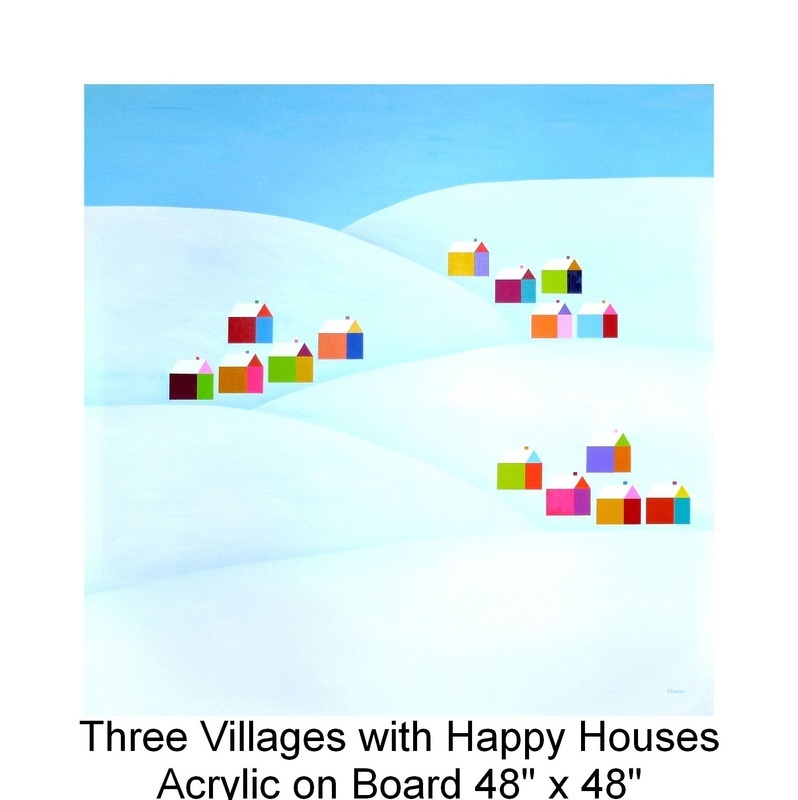 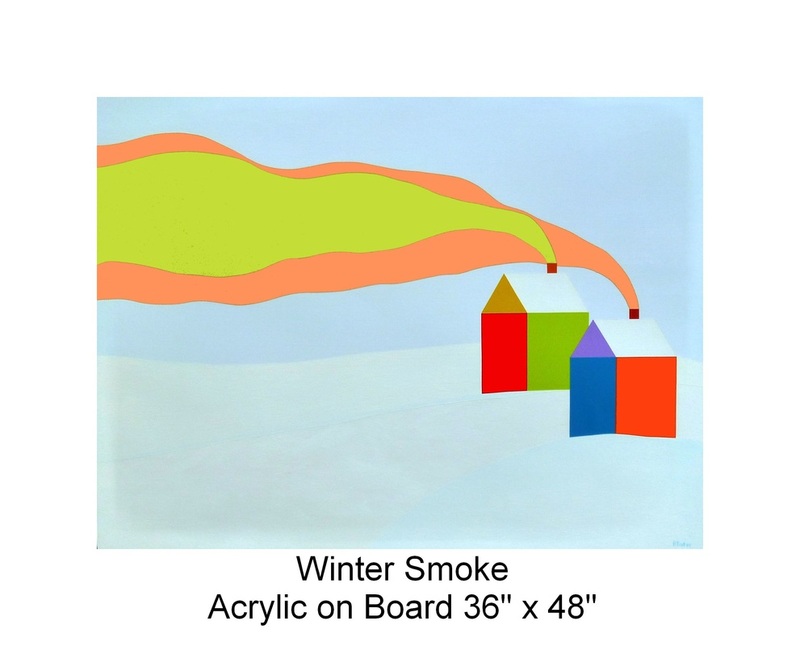 Some of my earlier paintings reflect my admiration of vast, peaceful snow scenes: “Three Villages with Happy Houses”, “Happy Houses in Winter”, “Happy Houses on the Cliff”, “Caribbean Ski Team”, “Dancing Snowflakes” and “Winter Smoke”. 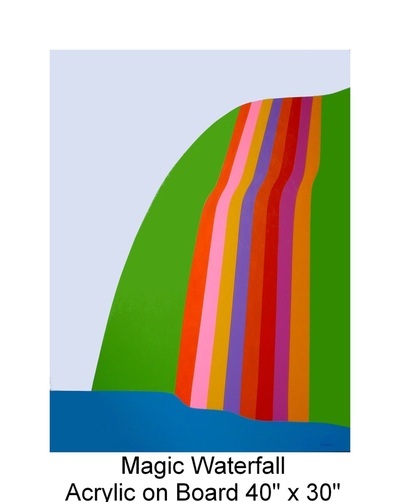 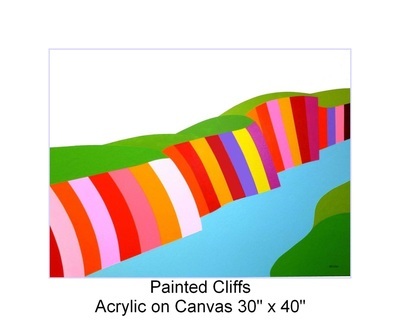 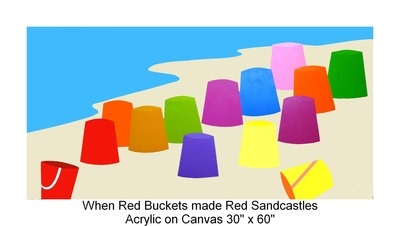 As it melts away, the winter snow is replaced by the bright, cheerful colors of spring and summer, evoking childhood memories of a “Paper Boat Race”, “When Red Buckets made Red Sandcastles”, the mythical “Magic Waterfall” and “Painted Cliffs”. 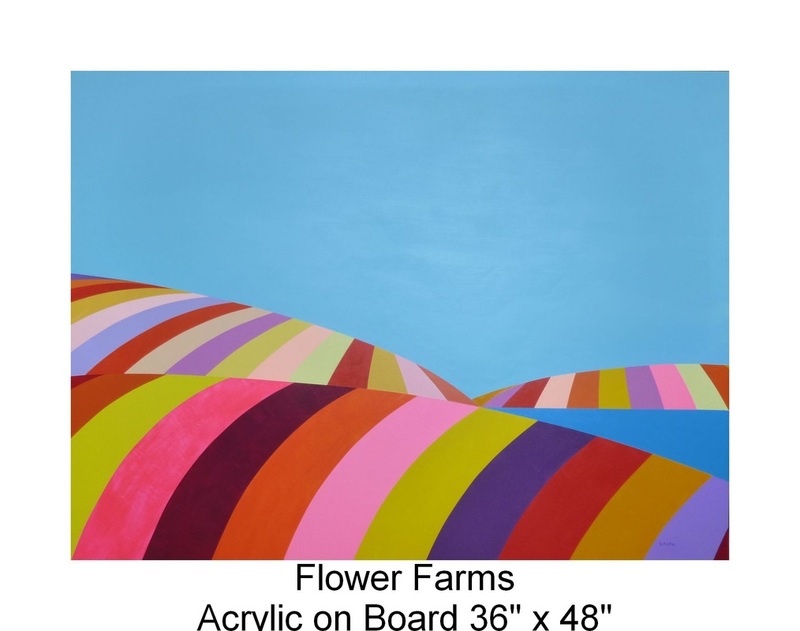 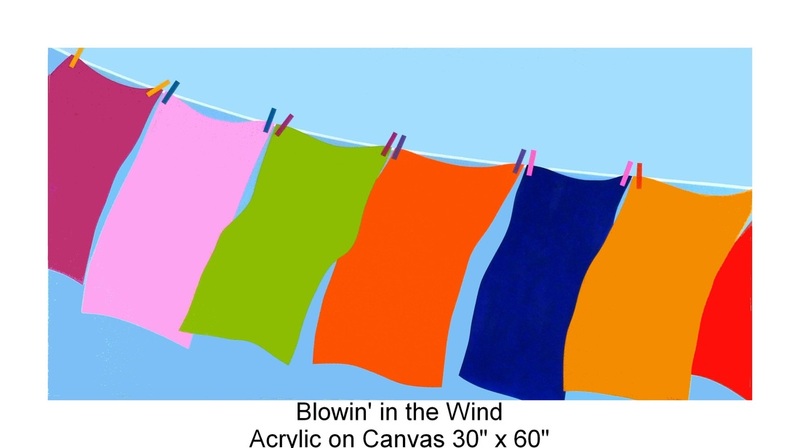 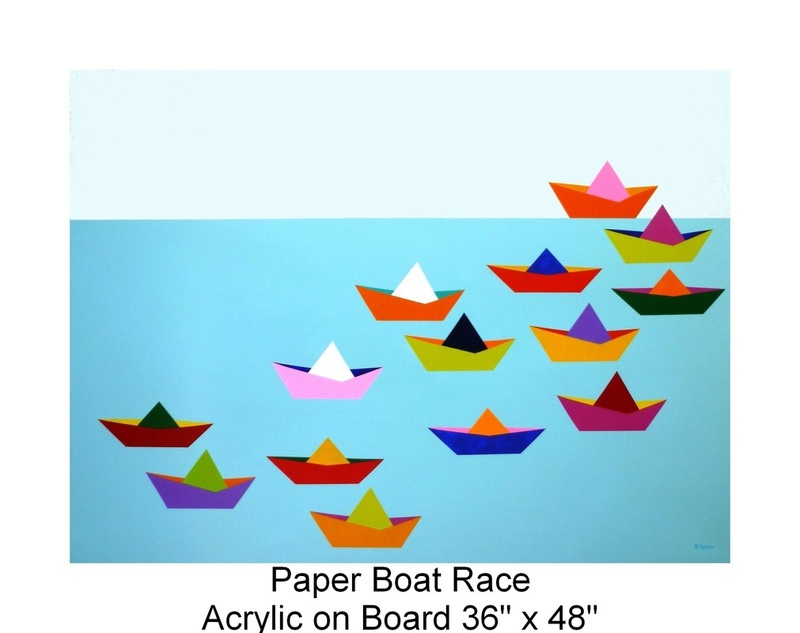 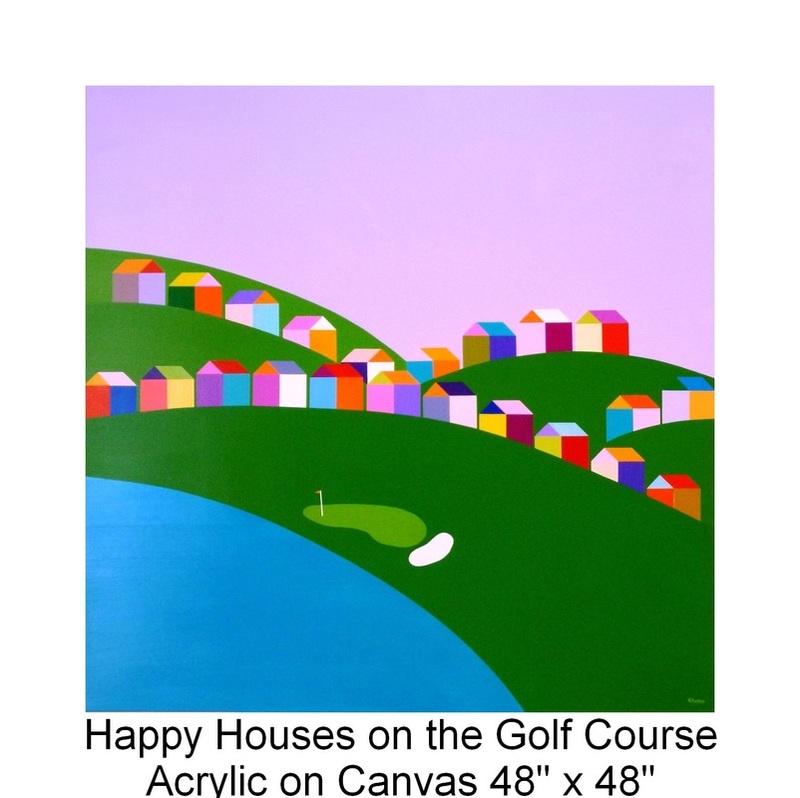 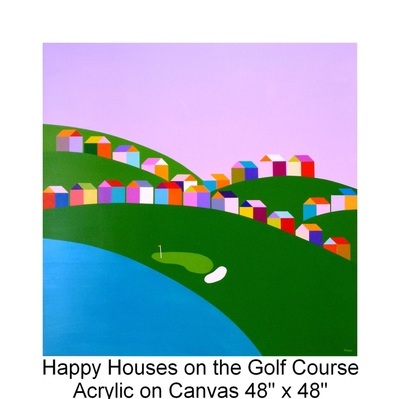 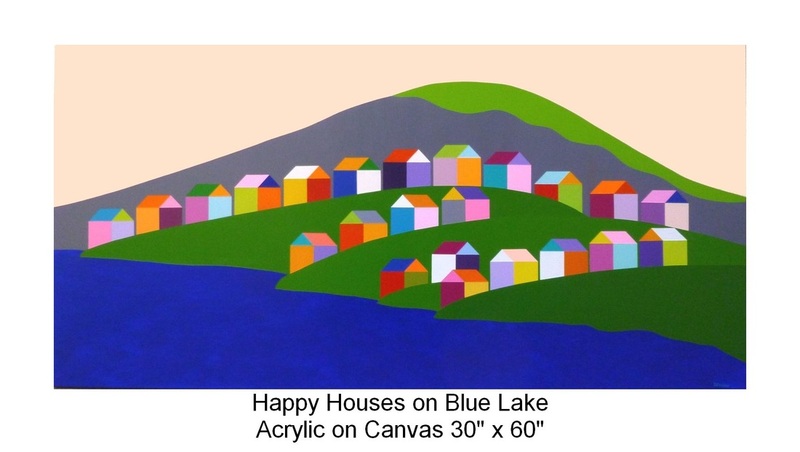 Joyful laughter emanates from “Happy Houses on the Golf Course” and "Happy Houses on Blue Lake". 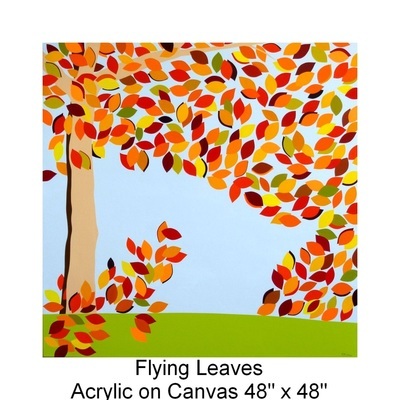 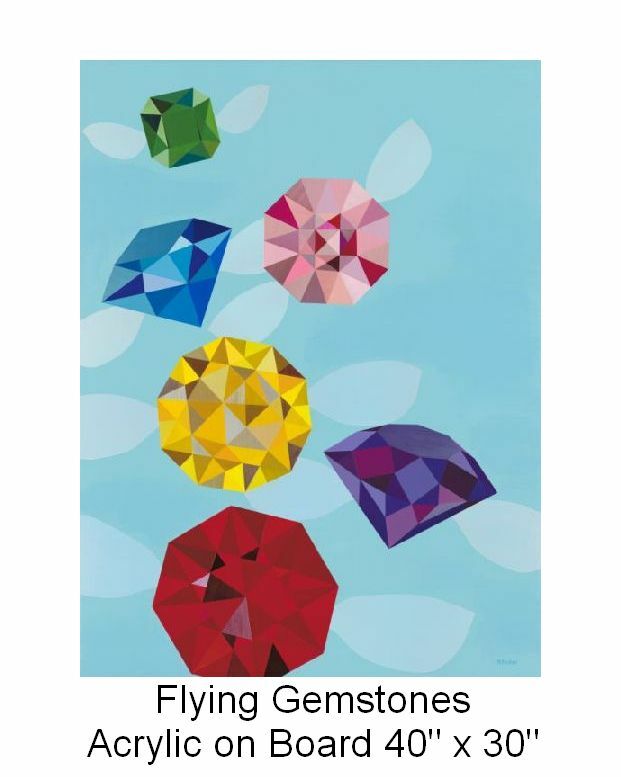 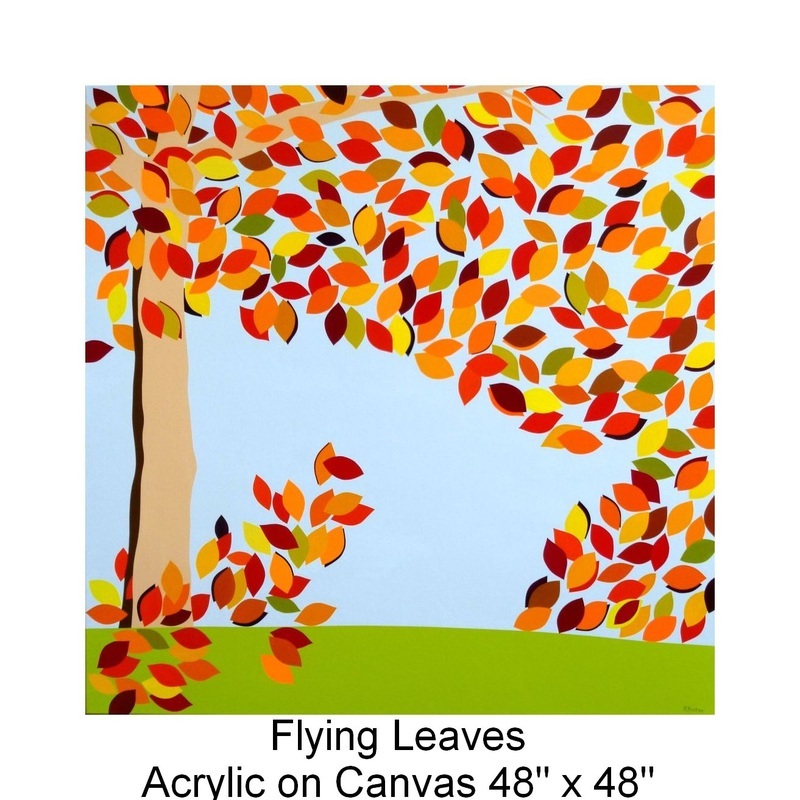 Summer gives way to autumn, where “Flying Leaves”, like “Flying Gemstones”, are “Blowin' in the Wind”. 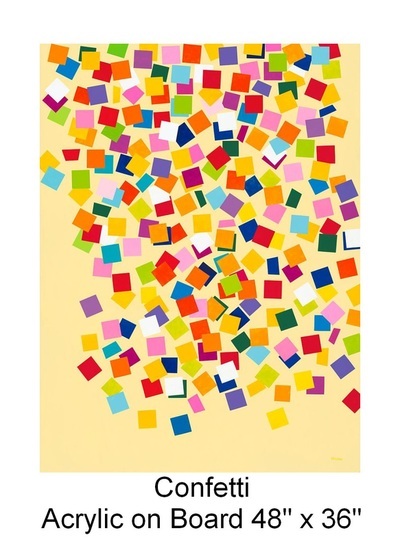 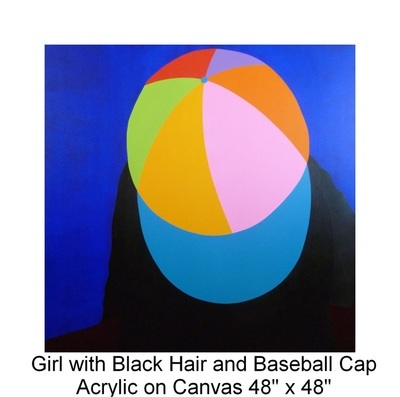 Then the “Girl with Black Hair and Baseball Cap” celebrates the New Year with “Confetti”, filled with the promise of a successful year ahead.